Whether positioned vertically or horizontally, transom windows are an ideal way to bring natural light into an area of your home with limited space. At Hy-Lite, we offer several options for privacy transoms --- those special transoms that bring light in but keep nosy eyes out. 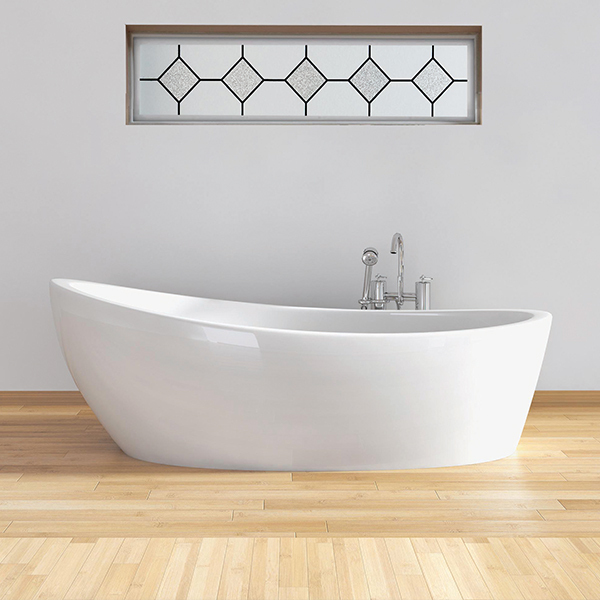 The Home Designer Collection has both Prairie and Mission style privacy glass transom windows available with rough openings of 48" x 12" each. We also offer an acrylic block transom in 47-1/2" x 11-1/2" rough opening and a true glass block transom in a "47-1/4" x 9-1/2" rough opening. Tip: Remember that transoms can be used in several ways. Position over interior doors within the home when ceilings are tall to encourage the flow of light from one room to another. Use above or running lengthwise with exterior doors to increase the overall curb appeal of the home while adding light in the interior hallway. Or, marry up with another large window to create a stylish window combination with visual appeal!